Among the many items it stocks are a wide selection of DPA microphones, especially d:screet miniature and d:fine Headset Microphones that are particularly popular with production companies working on sports and reality TV programming. "Our equipment is mainly designed for recording sound and it is used across a wide range of film projects and broadcast programming," says Romain Becquet, sales manager at Tapages & Nocturnes. "We own more than 1,200 wireless systems from all of the main manufacturers, and a lot of intercom systems. We also have an extensive range of DPA microphones that are in great demand because our customers find them very versatile and reliable." The most commonly requested models are the DPA d:screet 4060 Miniature Microphone and the d:fine range of Headset Microphones. 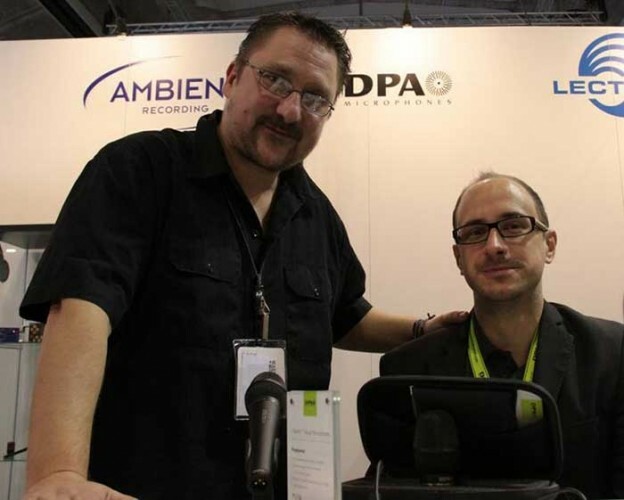 Last year alone DPA's French distributor Audio² supplied the company with 175 miniature microphones including 115 4060/61 units. However, Tapages also owns more than 50 other DPA models including d:dicate 4017 shotgun microphones and even some old Hydrophone and B&K microphones. "The miniature and headset mics are the most popular because we rent out so many wireless systems," Becquet says. "But we also have many DPA d:screet 4080 cardioid mics for TV speakers, d:vote™ 4099 Instrument Mics for music shows and d:mension™ 5100 Surround Microphones for sports events such as football and rugby where broadcasters want to capture the ambience of the stadium." "DPA microphones are currently being used on a French TV programme called La Boite à Musique (Music Box), which is a classical music show," Becquet says. "The sound engineer is miking all of the instruments with DPA d:vote 4099 Instrument Microphones and using d:screet 4060 Miniature Microphones for the talent. Like many of our customers, he is happy using DPA because the sound quality is so good." "From holders and suspensions to foams and windjammers, DPA supplies everything you need. The accessories also make them very easy to hide if you want to keep them out of shot." Although Tapages is not a major player in the live sound business, its staff have tested DPA’s new d:facto Vocal Microphone because they wanted to see how well it coped with speech. "We found it to be very good and we were impressed," Becquet adds. "We also tried the d:facto capsule on a Sennheiser D9000 digital wireless system and felt the sound we achieved was much better than with any other capsule." In picture: Romain Becquet, sales manager of Tapages & Nocturnes with Christophe Bonneau of Audio 2.